The Reformed Journal bridged the ethno-religious subculture of Dutch-Calvinist America and the wider academy, and it served as an incubator for several household names in Christian scholarship. 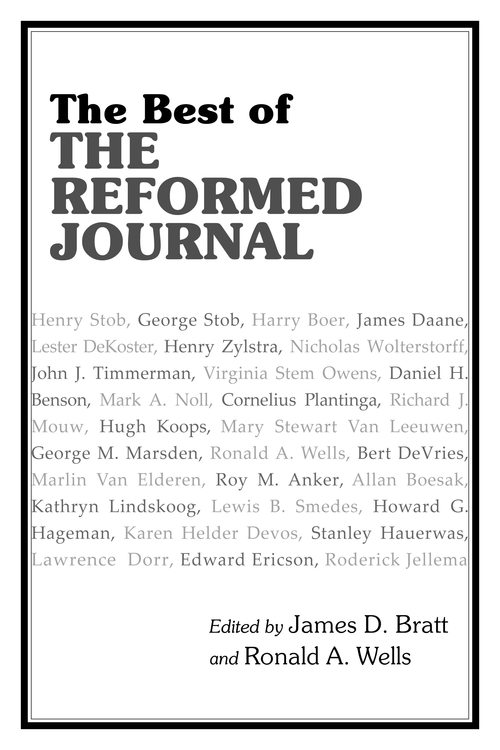 The Best of the Reformed Journal by James D. Bratt & Ronald A. Wells (eds.). Eerdmans, 2011. 344pp. The New York intellectuals loom large in any discussion of post-war thought. Rooted in the American Jewish experience, figures like Richard Hofstadter and Daniel Bell crossed over from the academy to the public square. 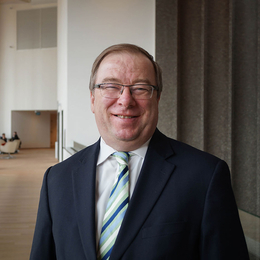 Besides a historic relationship with the Netherlands, few things connect the island of Manhattan with Grand Rapids, Michigan. Dubbed a "city of churches," the latter serves the farm country of Western Michigan. Home to a handful of colleges, it boasts no Greenwich Village or Columbia University. A stronghold for establishment Republicans, it launched the career of the only U.S. president memorialized in a John Updike novel (Memories of the Ford Administration). Aside from Gerald Ford, can anything good come out of Kent County, Michigan? Not surprisingly, the answer is yes. More than any other group, the Grand Rapids intellectuals have played a central role in revitalizing conservative Protestant thought in North America. From the philosophers Alvin Plantinga and Nicholas Wolterstorff to the historians George Marsden and Joel Carpenter, they have brought the insights of Dutch Calvinism into the halls of academia. More than a disembodied set of ideas, Dutch neocalvinism was incarnated through a host of institutions that together formed the infrastructure of an intellectual renaissance. Thanks to William Eerdmans, Sr., and his nephew Pat Zondervan, Grand Rapids became a publishing Mecca for Christian scholars. Along with Kregel and Baker (another uncle-nephew publishing dynasty), Eerdmans and Zondervan served an expanding network of evangelical colleges. Chief among these was the Christian Reformed Church's own Calvin College, a center for Christian philosophy and church history. The New York intellectuals wrote for Dissent and Commentary (what Woody Allen once called Dysentery); liberal Catholics had Commonweal and America. Always a bit off center, such little magazines nurtured distinctive communities of discourse, functioning as a bridge between their subcultures and the wider world. They also served as incubators for young writers. As Peter Steinfels noted back in 1979, "When I was a student, there was a whole series of conveyor belts for someone like me." These conveyor belts took Steinfels from Chicago's Loyola University to the Manhattan offices of Commonweal. Eventually, he landed at the New York Times. As Commonweal contributor Cathleen Kaveny recently observed, "all of the people who are now household names in the Catholic world knew each other—the Steinfels, the Callahans, Michael Novak, John Noonan." The Reformed Journal played a similar role for the Grand Rapids intellectuals. Bridging the ethno-religious subculture of Dutch-Calvinist America and the wider academy, it served as an incubator for several household names in Christian scholarship, including Nicholas Wolterstorff, Richard Mouw, George Marsden, and Mary Stewart Van Leeuwen. In its early years, the magazine could seem downright parochial. But oh what a parish! 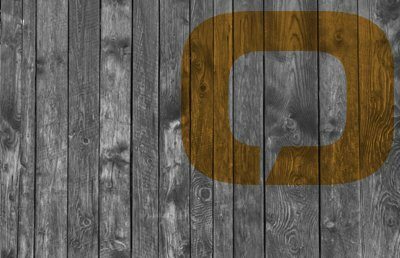 Located on the boundary between mainline Protestantism and evangelicalism, the CRC felt at home in neither. Early articles in the Reformed Journal captured this ambiguous identity. In "The Graham Crusades—Shall We Participate?" Sidney Rooy offered two cheers for post-war revivalism. In "The Sacrament of Community," Lewis Smedes provided a response to evangelical individualism. Run by hyphenated ethnics, the journal viewed American nationalism with a critical eye. In 1987, the Canadian-born Mary Stewart Van Leeuwen discussed both the "virtues and limits of patriotism." A 1954 graduate of Calvin College, Alvin Plantinga wrote his first piece for the magazine back in 1958. An essay on Dutch philosopher Herman Dooyeweerd, it is the very first publication on his curriculum vitae. 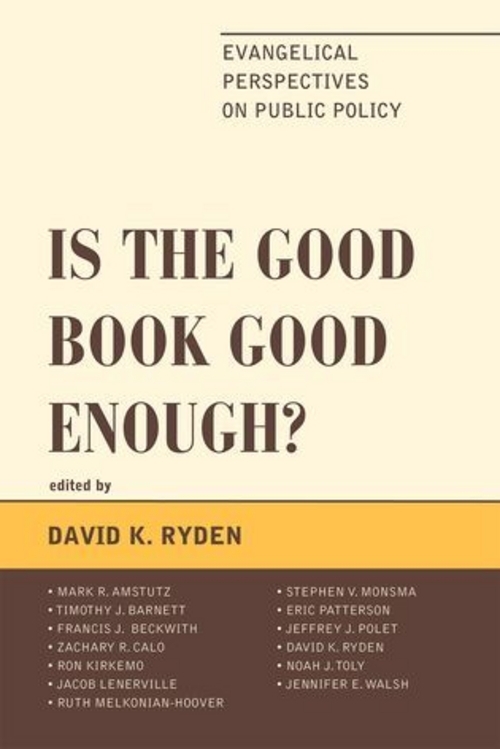 In the course of three decades, Plantinga wrote no less than nine articles for the Reformed Journal, including a 1982 piece on Reformed epistemology, his signature contribution to American philosophy. Providing a home for moderate Calvinist academics, the Journal helped to jump-start the evangelical non-right. Along with Wesleyan-Holiness scholars Timothy Smith and Donald Dayton, figures like Richard Mouw and Lewis Smedes called conservative Protestants to a higher level of social engagement. In 1966, Smedes took on Christianity Today editor Carl F.H. Henry. While praising the Henry who wrote The Uneasy Conscience of Modern Fundamentalism (1947), he chided him for failing to develop a true social ethic. While Henry urged evangelicals to confine themselves to general ethical principles, Smedes and Mouw called on the church to endorse specific social legislation (Mouw has since changed his mind). The context was the American civil rights movement. Like Commonweal and the Christian Century, the Reformed Journal weighed in on the burning issues of the sixties and seventies. Near the end of the Vietnam War, Mouw urged Billy Graham to condemn Richard Nixon's "peace with honor" doctrine; in a satirical piece, he imagined Graham responding to Nixon via his syndicated advice column. In "Who Needs Women's Lib?" Karen Helder DeVos reconciled second-wave feminism with "those sticky Pauline texts." Addressing the Dutch Diaspora in South Africa, the magazine declared that "Reformed does not mean apartheid." Back in North America, the magazine turned its attention to the New Christian Right. By the early eighties, the center of evangelical public discourse had shifted from the mellow Midwest to what Bratt and Wells call the "reactionary-nationalist, Sunbelt, and Pentecostal side of evangelicalism." Rising to the occasion, the Reformed Journal published penetrating essays by George Marsden, Mark Noll, and other voices of the "new evangelical historiography." In "Star Wars in Beulah Land," Marsden described the conflict between old-time Pentecostalism and the new style of therapeutic televangelism. Engaging in intra-Reform polemics, the magazine took on Francis Schaeffer. Noting Schaeffer's influence on Jerry Falwell, Marsden called the Moral Majority "Dooyeweerdianism gone to seed." The Reformed Journal was equally hard on the post-Calvinist avant-garde, publishing a negative review of Calvin College graduate Paul Schrader's Taxi Driver. According to reviewer Marlin Van Elderen, Schrader gave Robert DeNiro's character a Dutch-Frisian name in order to shock his hometown. A quick search of the Michigan White Pages reveals over 70 'Bickles'. Which vision represents the true neocalvinist approach? Can a Reformed understanding of social justice be reconciled with a vigorous defense of the free market? The Reformed Journal used to be the arena in which these questions were discussed; is there such an arena today? 1 On the parallels between Kuyperian Calvinism and post-modernism, see Nicholas Wolterstorff, "The Grace that Shaped My Life," in Philosophers Who Believe: The Spiritual Journeys of 11 Leading Thinkers, ed. Kelly James Clark (Downers Grove, IL: InterVarsity Press, 1993), 259-275; George Marsden, "The State of Evangelical Christian Scholarship," Reformed Journal 37 (9): 12-16 (1987). 2 This account of the magazine draws on James Bratt and Ronald Wells' introduction to The Best of the Reformed Journal. The county-level statistics on presidential voting are taken from Voting America: United States Politics, 1840-2008, available at http://www.americanpast.org/voting/. 3 The first quotation is from a 1958 piece in the Reformed Journal. The second quotation is from the profile of Lester DeKoster on the webpage of the Acton Institute. It is available at http://www.acton.org/pub/religion-liberty/volume-19-number-4/lester-dekoster. These quotations are not as far apart as they seem. In the 1958 piece, DeKoster argues that Roosevelt saved the free enterprise system. DeKoster's critique of Marxism echoes the thinking of many Cold War Democrats. 4 See the Acton Institute's webpage on Abraham Kuyper at http://www.acton.org/pub/religion-liberty/volume-9-number-1/abraham-kuyper. They argue that Kuyper's notion of sphere-sovereignty suggests a limited role for the state. See also Nicholas Wolterstorff, "How Social Justice Got to Me and Why It Never Left," Journal of the American Academy of Religion 76 no. 3 (2008): 664-679. 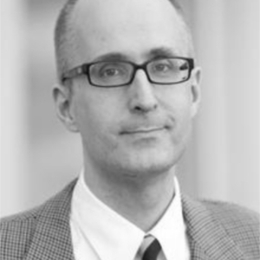 Sociologist John Schmalzbauer teaches in the Department of Religious Studies at Missouri State University where he holds the Blanche Gorman Strong Chair in Protestant Studies. A Minnesota native, he has lived in the Ozarks since 2004. 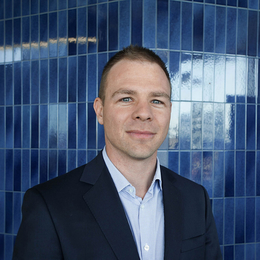 His research and teaching focus on American evangelicalism, religion and higher education, and religious forms of popular culture. His book People of Faith: Religious Conviction in American Journalism and Higher Education (Cornell University Press) explores the role of religion in the careers of 40 prominent journalists and scholars. He holds a doctorate in sociology from Princeton University and a bachelor's degree in political science from Wheaton College (Illinois), the alma mater of Billy Graham and Wes Craven (the creator of The Nightmare on Elm Street films).